I've been exploring a lot of the various issues about working from home. One thing I kept reading and feeling was that my back was getting tired from sitting in my chair all day. The first thing I tried was to just sit up straight, but that's easier said than done. For one thing, the armrests on my chair are slightly too low for me when I sit completely upright. After doing some reading I purchased a Swiss ball to try. The ball was inflatable and I now use it as a seat for about an hour a day. The main benefit with it is that you really have to sit straight, it won't let you slouch. That means it's much more tiring than a regular chair and I've found that about an hour a day is enough. Maybe over time as my back gets stronger, I'll try to increase the time I spend sat on the ball. 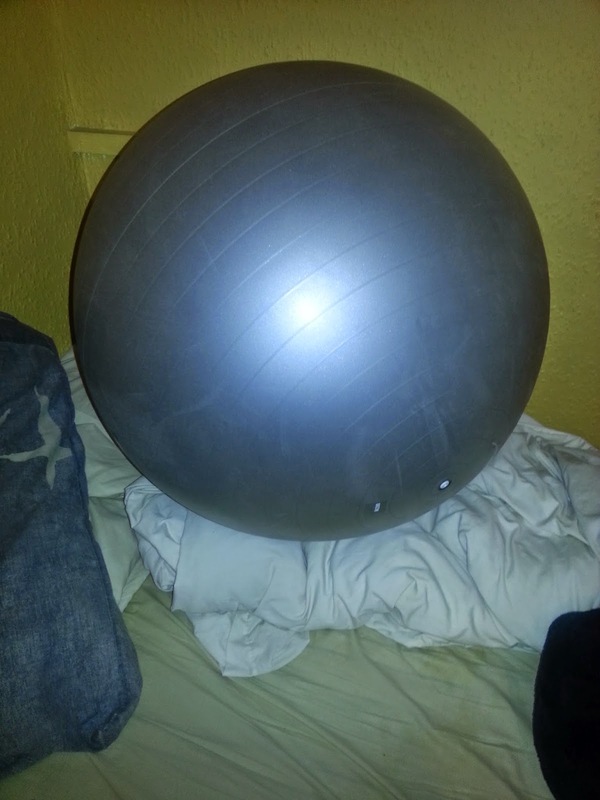 One of the downsides is that the ball is pretty big (I got a 65 cm ball) and when I'm not using it there's nowhere to keep it in my little flat. So it usually sits on the bed (as shown below) while I'm working. Overall I'd say it was a good idea. I've certainly felt a bit of an improvement in my posture and it helps break up the day when the job I'm doing is boring. I also wanted to start exercising on daily basis but I just couldn't take time out to exercise due to our hectic routines but you managed to did it.